Do you find it a hassle switching from one browser to another? Now, what if you’re browsing in Chrome and then there’s a page that you need to open in Firefox? If this happens often, then you might want to consider using a tool that can easily open any page from Chrome in Firefox. If you still don’t have any idea as to how you can get it done, then simply follow these steps below. 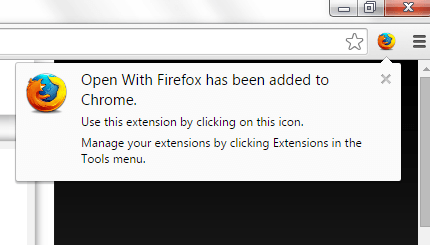 First, download  and add the “Open With Firefox” extension to your Chrome web browser. Once added, the Open With Firefox extension will add its icon to your browser’s omnibar. The icon looks the official Firefox favicon so it’s easily recognizable. Next, you need to configure the extension so that it will work properly on your system. To do so, you need to install an additional application from the same developer. It is a communicator software that is necessary to carry messages between the extension and your Firefox browser. Download the communicator software from this page . After download, extract the contents of the ZIP archive and right-click on the FF Communicator application. Choose “Run as administrator”. When the set up is finished, you will get a confirmation message. Next, go back to your Chrome browser and click the Open With Firefox icon. 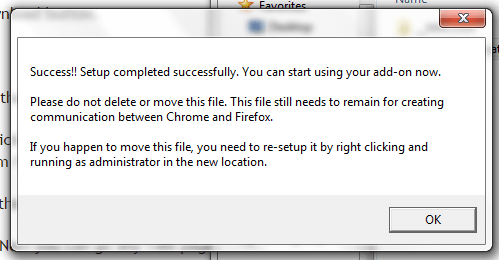 If an additional setup is required, you will be asked to set the correct Firefox location. Click “Save!” to confirm. Once done and everything is working fine, just browse any web page or post. To open that page in Firefox, just click the Open With Firefox icon on the toolbar. When you see the External Protocol Request dialog, just click “Launch Application”. That’s it. The page that you’ve selected will be automatically loaded in your Firefox browser. Note: To find out the correct location of your Firefox browser, click “Start” > “All Programs” and then right-click on Mozilla Firefox. Select “Properties” then go to the “Shortcut” tab. In the “Target” field, copy the complete location sans the quotes and then paste it to the required field in the Open With Firefox options.